Is there anything more beautiful than autumn leaves? As we wait for the cooler weather to arrive here in Texas, I'm thrilled to see the leaves begin to change ever so slightly on my way home each day. 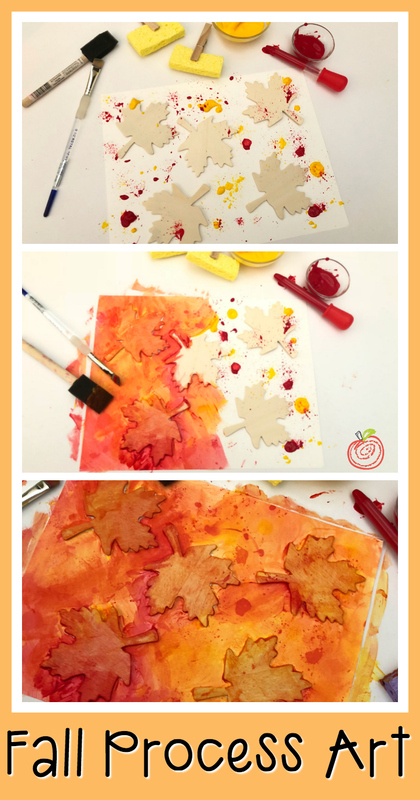 Today, I'm sharing an autumn process art project for preschoolers and elementary students. 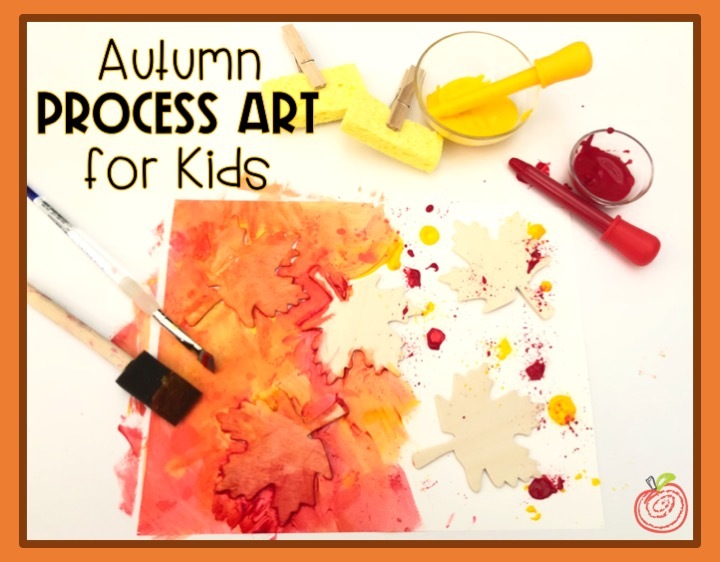 Process art is awesome for young learners because it focuses on the HOW and encourages creativity. In this autumn leaves project, students will explore mixing colors. They will also see how various tools can be used in art. Here are the supplies you will need. 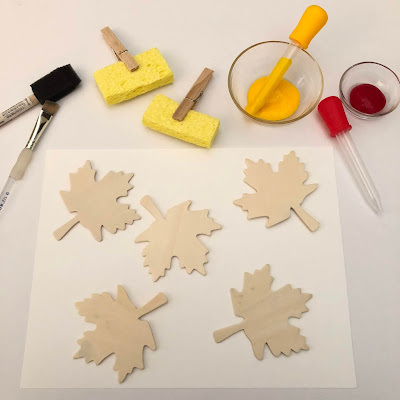 Most craft stores like JoAnn's, Michael's, or Hobby Lobby will carry the wooden leaves at this time of the year. 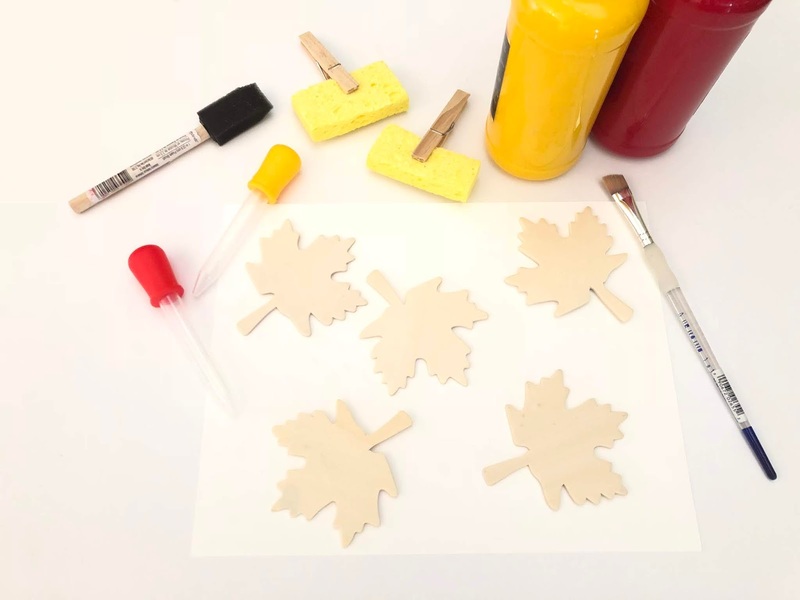 You could also die-cut leaves on card stock or thick poster paper. I've had these liquid droppers for years. I found them on Amazon (affiliate link included for convenience), and I love them because the silicone tops come off which makes it easier to clean. I taped the wooden leaves to our workspace with painter's tape so they wouldn't shift. I prepared a bowl of red paint and a bowl of yellow paint and demonstrated how to use the dropper to splatter the paint. Now it's time to use various tools to spread the paint splatters. 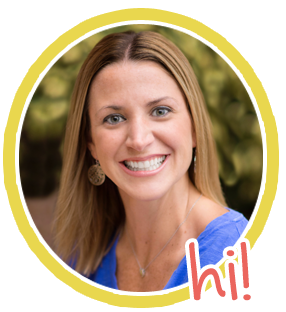 Hopefully your kiddos will be saying something like "WOW! It's making orange!" Let the kids experiment with adding more drops of yellow or red to mix the colors. 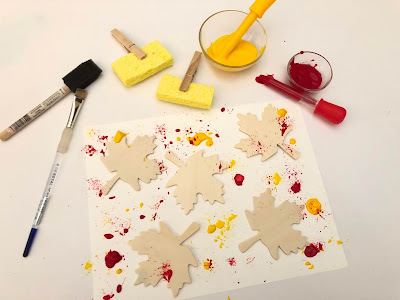 Allow the students to use different brushes and sponges. The detail-oriented kiddos will likely notice they need a small brush to paint around the edges of the leaves. This is a fun project to do collaboratively. Students can participate as much (or as little) as they want! A large poster would also make for a beautiful, festive classroom display. Originally, I planned to remove the leaves, but I love the way they look and give the project dimension!